The movies Going in Style and Golden Years both center on a nearly identical premise. What happens when a group of cash-strapped senior citizens, reeling from the unexpected and unjust loss of their pension income, decide to rob a bank? Both films appear to have gone into production around the same time, and I have no reason to presume that the similarities are anything more than serendipity. Indeed, the two movies could have been based on the same screenplay outline. 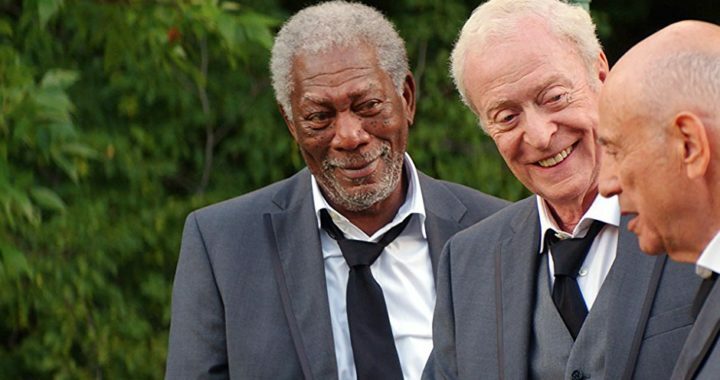 The main difference is that Going in Style includes only three men as the bank-robbing senior citizens, played by Morgan Freeman, Michael Caine, and Alan Arkin. 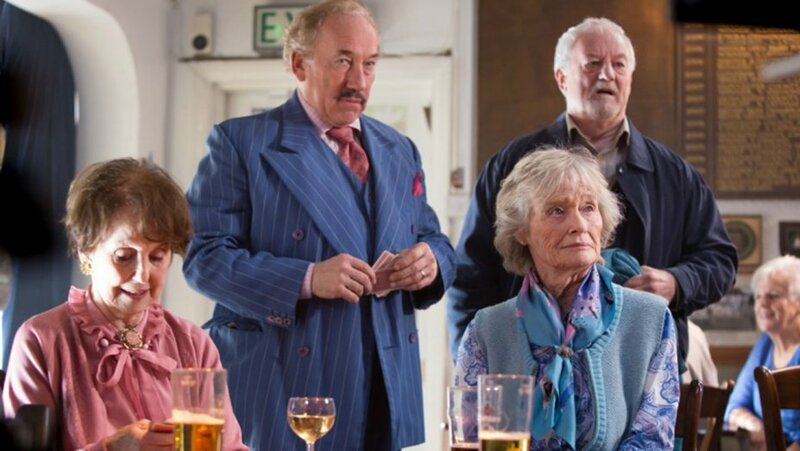 Golden Years makes the gang coed, with the long-married couple starring Bernard Hill and Virginia McKenna in the leading roles and the supporting crew played by Simon Callow, Una Stubbs, and Phil Davis. In both movies, law enforcement is represented by unsympathetic characters in the forms of the FBI agent played by Matt Dillon in Going in Style and Brad Moore as the Golden Years’ CID officer. However, the terrific Alun Armstrong, whose career bread and butter has come from playing police officers and Dickens characters, is much more likeable as the dogged detective in Golden Years. Neither movie makes any attempt to explore the morality of bank robbing, other than to say that the senior citizens are only taking back what’s theirs. The simplistic justification wouldn’t work on a broader scale, and in both movies, an attempt to keep the tone light often cuts into chance at deeper resonance, though I’m not sure that’s necessarily a bad thing. Going in Style is a remake of a 1979 film of the same name starring George Burns and Art Carney, as yet unseen by me, though a short synopsis indicates that this is a far darker comedy than the 2017 release. Both of the recent movies were attacked by critics for playing the comedy light and safe. A more acerbic satire of life as a senior citizen might have made for more scorching social comedy, but the movie is out to make people laugh and smile, not lobby for government policy change. Notably, heavy stress is put on painting the elderly bank robbers as the victims of an unjust system and illustrating that the cast has no desire to actually harm anybody. In Going in Style, guys use guns with blanks, and the Golden Years team uses carefully disguised vegetables like curved cucumbers as faux weapons. Ultimately, both Going in Style and Golden Years work because of the charm of the cast members—everybody in the cast knows how to deliver the lines with a twinkle in their eye. The central actors are all so likeable—the supporting casts include amiable cameos in Golden Years and Christopher Lloyd channeling his legendary Rev. Jim Ignatowski in Going in Style—that the two films are full of delights based on the actors alone. If they are not the most suspenseful heist movies in recent years, at least they are among the most pleasant.